Dehumidifiers are used to rid the air of too much moisture. The reason some may want to buy a dehumidifier is to reduce humidity level which can cause allergens such as mold and mildew. 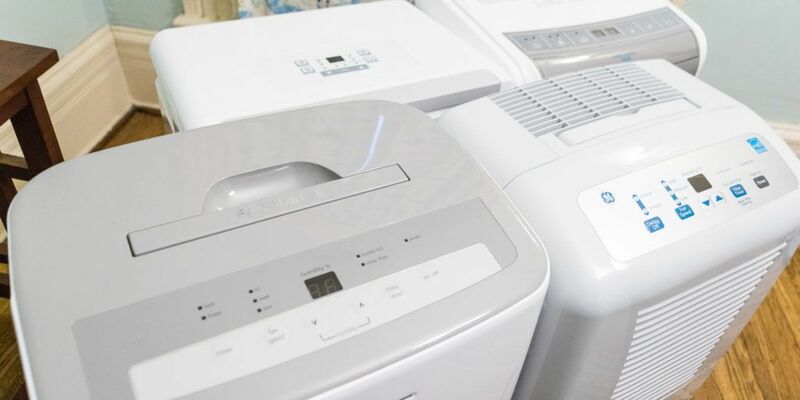 When buying a dehumidifier from this site there are a few things to take into account such as; why you need one, how much space it needs to cover, how much humidity is in the space, and if special features are needed. Buying a dehumidifier is recommended for many homes. Dehumidifiers help with allergens in the air like mold and dust mites which require a certain level of humidity to live. Excessive moisture can also damage structural materials such as support beams, flooring, and walls. Dehumidifiers guard against building damages, as well as allergens, and help air conditioning work better. Compressor based dehumidifier, thermo-electric dehumidifier, and desiccant dehumidifier are the three main types of humidifiers. Thermo- electric and desiccant dehumidifiers usually only remove a few ounces of humidity per day where as a compressor based can remove up to ten gallons of water per day from the air. Most people go with compressor-based dehumidifiers due to the amount of space they can rid of humidity. How big of a Unit is needed? When planning to buy a dehumidifier you should know the amount of space you have and the humidity it has. You can buy a gauge that measures humidity in the home as well as the temperature. Knowing the humidity levels will help with choosing the size of the unit. With the size of the space and humidity levels with help when shopping so you know what to look for on the units. The size of the dehumidifier is a big deal because if it is too small of a unit for the space, it could take longer to rid the area of moisture in the air. Taking too long to rid the moisture will cause it to continually add in moisture. However, a dehumidifier that is too big of a unit for a space is less of an issue. Having a bigger unit than needed can help rid the moisture faster, but then you face the issue of possibly having to dry of air. One that fits a space perfectly will continually keep the air just right in the area you want. Some dehumidifiers come with special features that help with energy usage, quietness, rates of working, as well as easier emptying of water collected. When buying a humidifier keep these things in mind and remember to look up reviews on brands and models to make sure others had results, they were happy with as well. Dehumidifiers are great for spaces with excess moisture. Dehumidifiers help with keeping the air clean and crisp for better breathing and cleaner homes. When buying a dehumidifier, it is important to know the size of the unit needed in your space. Always read product reviews to help with buying the unit you want.